So you are going abroad to the US to study. You are excited and a bit apprehensive when thinking about the things you need to prepare for, to enjoy a smooth studying experience in USA. The most important thing in that list for Indian students is, to open a US bank account for managing their money abroad. 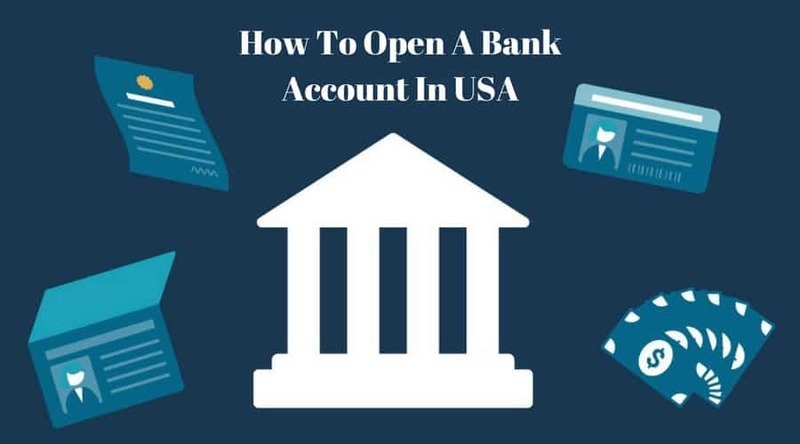 First we are going to discuss a bit about the advantages of opening a bank account in the US, the type of account you should choose and how to select a good bank. If you want to skip directly to the part about opening a bank account, just click here. Why should Indian Students in USA open a bank account? With a US bank account, students can easily receive money from back home for their expenses like paying university fee in US, maintenance money for rent, food etc. If you were to use an Indian credit/debit card, you’d lose a lot of money in the form of currency conversion fee and card usage abroad charge. Spending money in USA would be much easier with local bank issued credit/credit cards. In USA, almost all convenience stores, supermarkets and other business institutions accepts cards and it would be your single most important instrument for using money. Are there any charges levied per year for their Debit/Credit card? Proximity to your place of stay or your university. Also check out if your university has any relationships with specific banks to which they refer their international students. If a bank is used to working with international students, the process of opening a bank account will be much more smoother for you. There are 2 main type of bank accounts in US, which to choose? They are great for day to day expenses. You can frequently deposit and withdraw money. It usually comes with a checkbook and a bank card. Checking accounts have minimum monthly balances and service fees, and these vary from bank to bank. Many banks will offer online and mobile banking, so you can manage your money 24 hours a day. Most international students only need a checking account, which they can use for managing living expenses while staying abroad. They are what you should go with, if you are looking to deposit money for a long term and reap interest from your deposit. A savings account would most probably require a minimum deposit. A savings account is also likely to have a limited number of free transfers/transactions. The interests, minimum balances, and service fees will vary from bank to bank. As an international student, you will probably not need a savings account. How to open a bank account in the US? Copy of the student identity card issued by the university. Enrollment verification letter from your university. Two or three passport size colour photographs. Proof of address: Some banks will require proof of your local address (utility bills or apartment contract) and your Indian home address. Different banks accept different documents as proof of address. You will also need the funds you want to deposit and open the account with. Every bank has slightly different requirements, so do the research for your chosen bank. What happens once you are done with applying for a bank account? Once all the forms are filled and documents handed over, activation of your bank account should take anywhere between 24 hours and a week. Upon activation, the bank will provide you with a cheque book, debit card, account details, internet banking options, password details and an ATM pin code. If you are already set with your mobile phone connection, then you should receive SMS alerts from your bank. Opening a local bank account abroad is a pretty wise decision which will save you lot’s of money in the long run. If you have a part time job or receive stipend from your university, that money can be credited directly to your local bank account. Choose wisely when it comes to your finances and follow ExTravelMoney blog if you want more money saving tips on studying abroad, foreign exchange or forex transactions. Have any further tips? Share with us and also let us know if you have any questions in the comments below!